What do you consider when choosing a dry cleaner? Location? Pick-up and delivery options? Staff friendliness? The way your clothes are handled? Sure, all of these options make for a good dry cleaner. How about alterations? You might be thinking “Oh sure, for the occasional loose button or hem repair. But I must take my clothes to a professional tailor for more significant alterations.” Bibbentuckers is leading the charge for more full-service customer-oriented clothing solutions. Our stores have full-service alteration services provided by seasoned professionals. In fact, our locations at Preston and Forest and Preston and Park in Plano have remodeled to enlarge the alterations area to better accommodate the needs of our customers. Because we understand how to handle the various needs of our customers. 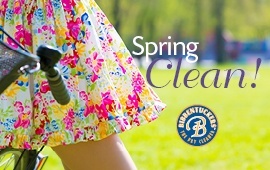 From proper care of designer labels to wedding dress preservation, Bibbentuckers has been the premier dry cleaning service for many local commercial and retail customers. For example, Bibbentuckers is the alterations provider for Terry Costa and many bridal shops in the Dallas area. Our retail customers understand the importance of finding a good alterations service, and we want to ensure all our customers receive the same great service. At Bibbentuckers, we believe in providing a quality environment for our employees. Doing so gives us an edge in providing excellent service to our clients. Take Raad for example. He is our tailor at the Uptown Dallas location. As a Bibbentuckers’ employee for the last two years, Raad has provided outstanding alteration services for many of our valued customers. Raad receives rave reviews from our clients – both for his work and his amazing customer service. Because of folks like Raad, we are able to truly provide our customers with great alteration services along with our other dry cleaning and laundry services. Bibbentuckers is dedicated to giving our customers the best experience. Whether you choose us to handle your laundry, wedding gown preservation or commercial uniform cleaning, we believe in providing the very best quality dry cleaning, laundry, and alternations. And we have many employees just like Raad who feel the same. Stop in one of our locations and ask about our alterations. We believe you will be pleasantly surprised. Plus you can have your items altered and cleaned in one place. Convenience combined with quality. For more information about Bibbentuckers, give us a call.